Consistency is a funny thing; the wild is notoriously inconsistent in many respects. A guest of ours a few months ago said, “You know, there are two words that should never exist in any fisherman’s vocabulary; Always and Never…” This week however went on to push the envelope for consistently great fishing over the season. This week saw some very familiar faces at rum o’clock and some new guests for their first experience in the Indian Ocean. 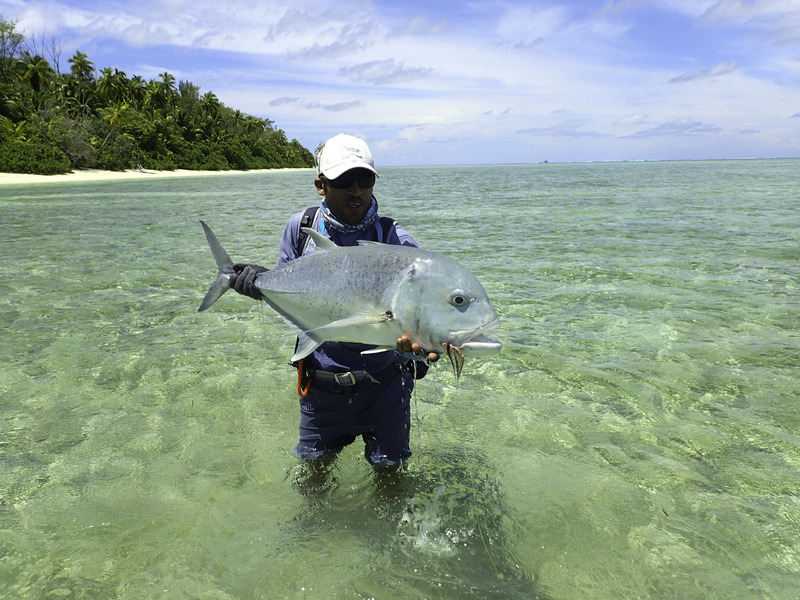 Alphonse Island Lodge is one of the few places that have the ability to balance a perfect relaxing stay with intense flats fishing. All the guests this week took full advantage of everything on offer out here, from snorkelling and kayaking to world class fly fishing. The weather was slightly tricky with the South East monsoon wind starting to show itself a few weeks earlier than usual. This in no means hampered the fishing, and coincided well with one of our biggest tides of the season and made for some great clean and cold water moving through the Atoll. The big spring tides this week were text book surf walk and GT fishing tides. Fortunately this week didn’t disappoint with a good number of fish thrown at. Philip Leech needs a special mention. 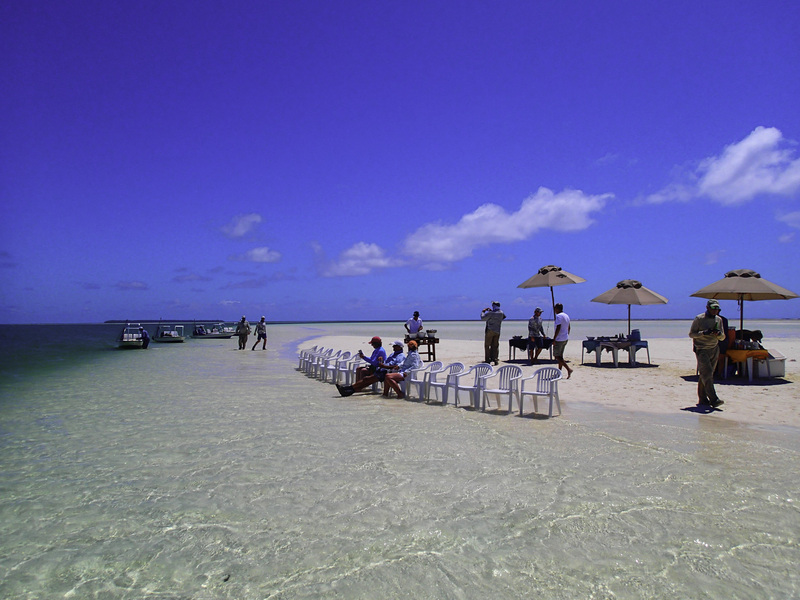 After all our guests went across to St Francois atoll early in the morning, Philip enjoyed a great breakfast and a relaxed start to what was supposed to be a classic first ever day of bone fishing on Alphonse. 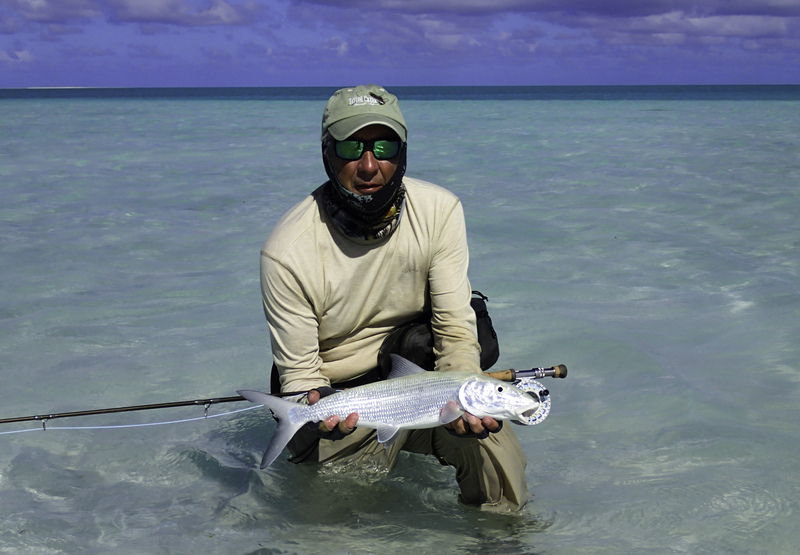 After ticking the bonefish box Philip managed to get his 8/0 Cosmo Critter in front of a big GT and fooled him to eat. Once the tape was stretched from nose to fork it measured in at 100cm, a great fish and incredible on his first day on the flats. 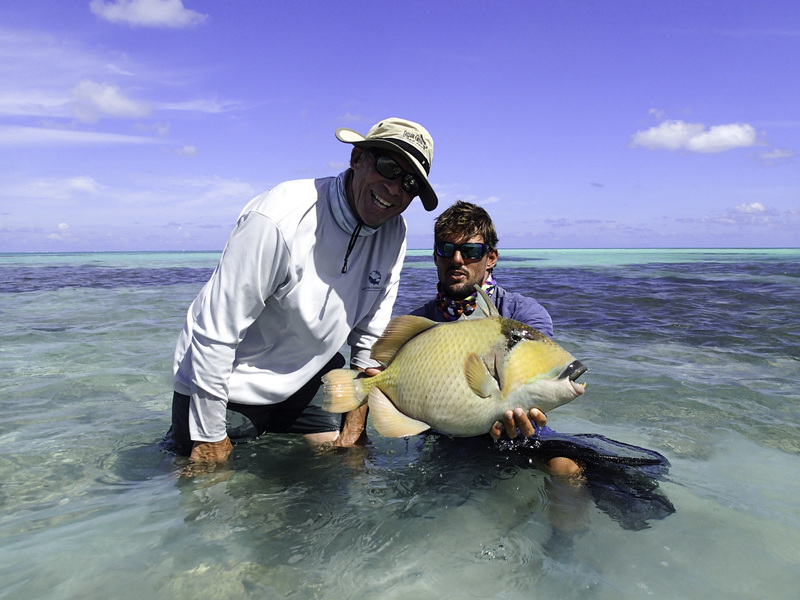 David Hall didn’t fail to impress finishing his week off with two good GT’s the largest being 94cm and a great Moustache triggerfish. Hena Power, joining us on the back of a Cosmo trip brought some of that mojo with him and also managed two good GT’s and a ‘Trigger slam’. Often the good tides and a switch in wind direction clean up the outside; this led a bunch of the guys to try their hand at popping or dredging. 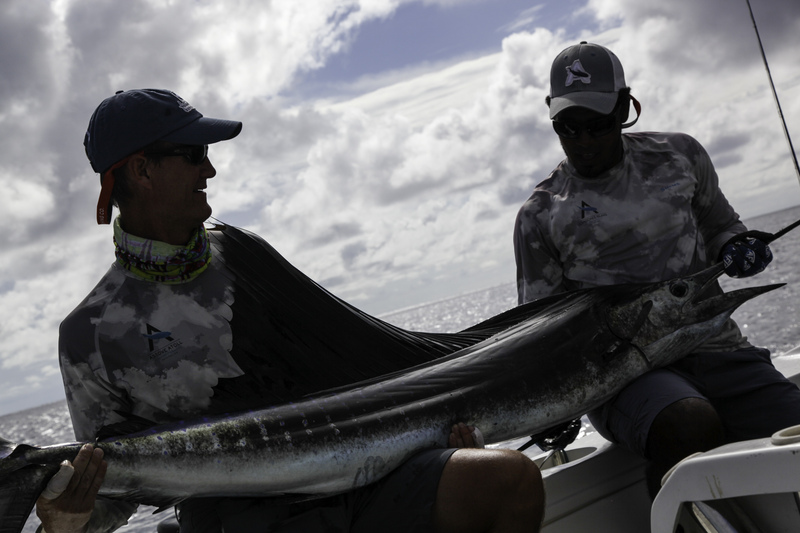 Bill Hegberg capped his week off with a gorgeous and impressive 118cm black GT on the popper outside the reef. Bill also went on to get a Moustache triggerfish later on in the week. Hena’s ‘Trigger slam’ wasn’t to be the only one this week, Kerry Hagan was right behind him with a ‘Trigger slam’ of his own and another Yellow-margin to top it off. Betty Grey worked really hard throughout the week, and finally she managed to get the job done and put her hands on her very own Yellow-margin. 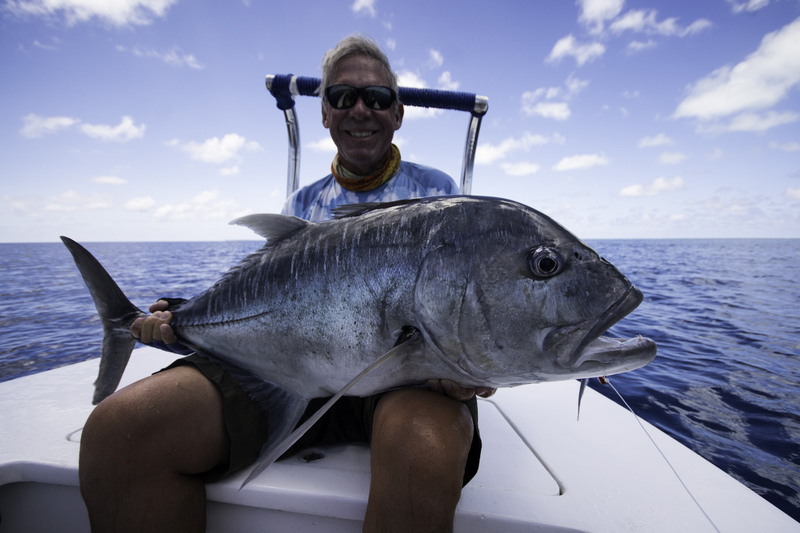 Besides the GT’s the Triggerfish and the bones, the one fish that always stands out has to be the Indo-Pacific Permit and this week two people managed to join this prestigious club. 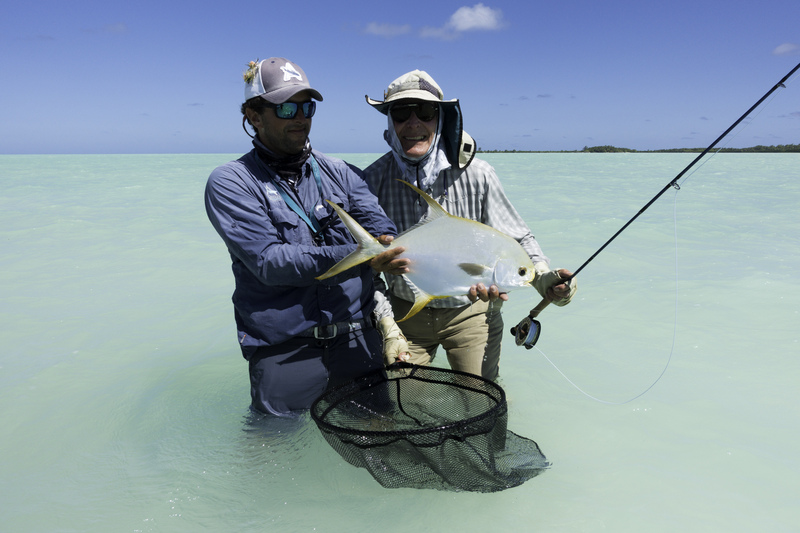 Every Permit is as special as the last but these two also took Alphonse over the 50 fish for the season mark, which is spectacular as far as Indo-pacific Permit fishing goes. 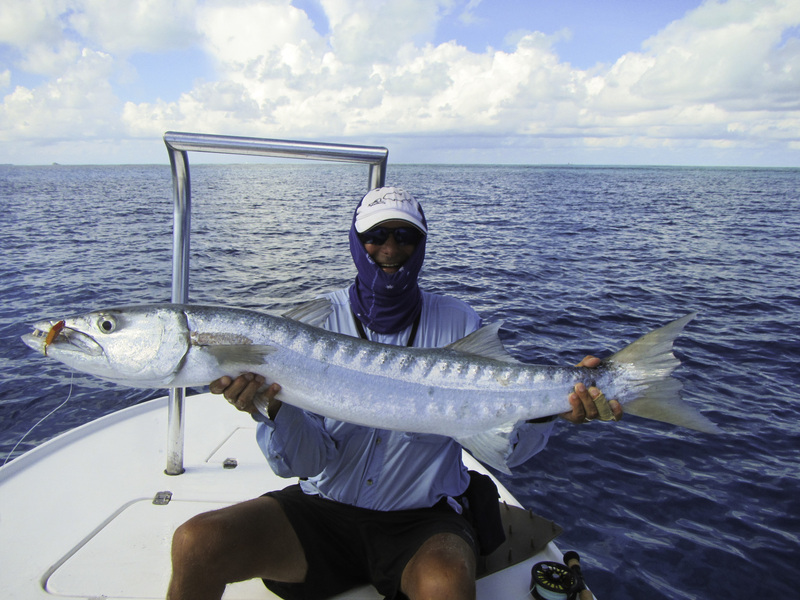 Sam Balderson, a Divemaster on Alphonse spent the week fishing with his father David. 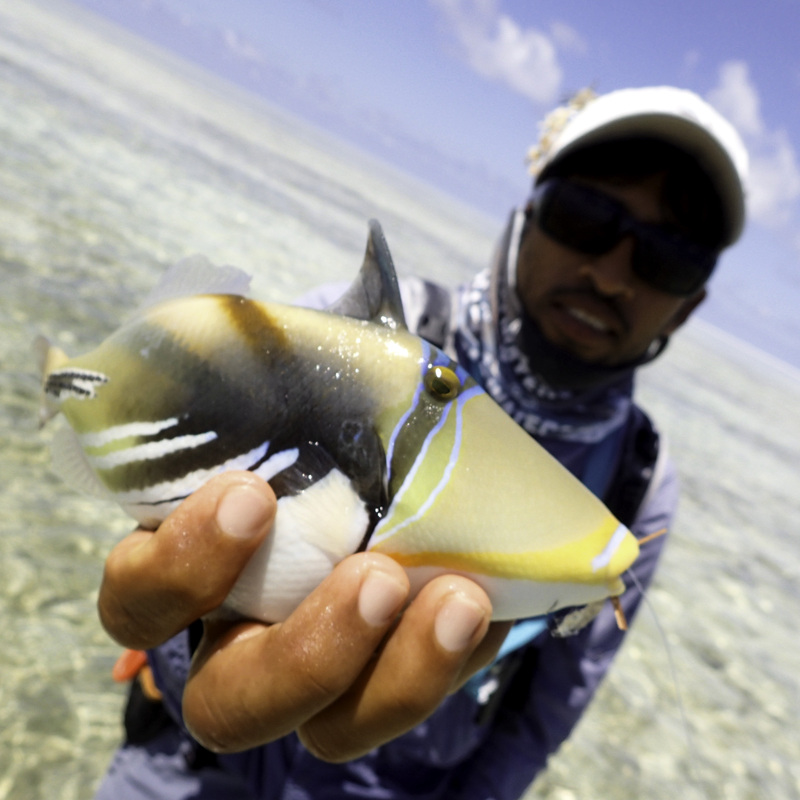 Not only did Sam get his triggerfish badge but on the same day he went on at 15:59 to hook and land a beautiful and perfect Indo-Pacific Permit, making this our 50th fish. Later in the week Peter Grey went on to make his mark with an equally gorgeous fish. Both these fish mark a milestone in the increasing quality of the Permit fishery. 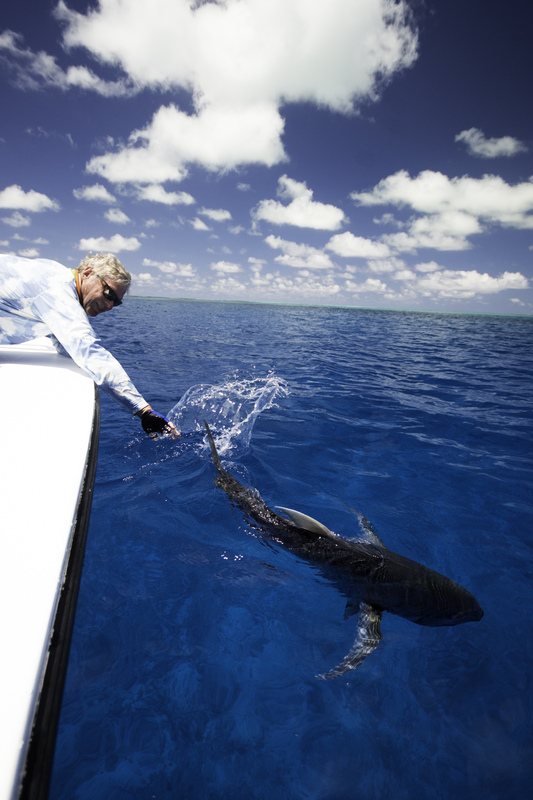 It’s a testament to our conservation efforts and to all our guests respecting our fishery. Once again, consistency is a funny thing, the wild cannot be predicted, so often are we shown how unpredictable it can be, yet sometimes it lets you think you know what you are doing.